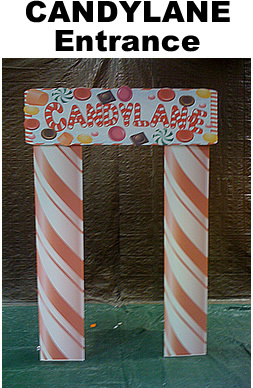 Candy Lane Entrance Cardboard Cutout Standup Prop - Dino Rentos Studios, INC. 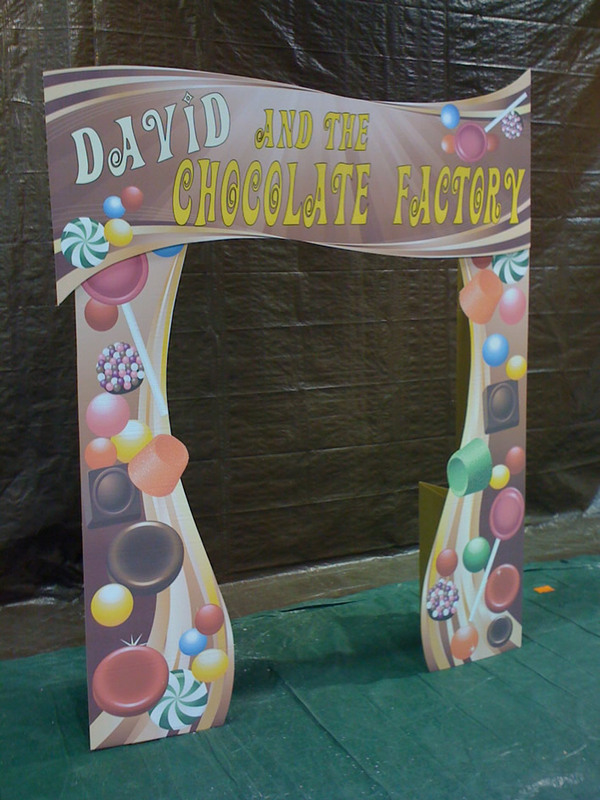 This Candy Lane Entrance is great for parties and events! Choose your custom line of text. Default text is CANDYLANE. Allows you to walk through. Self-standing. Kit assembles in about 30 minutes. 10' tall by 6' wide has an 8' x 3' entrance. For adults to walk through. 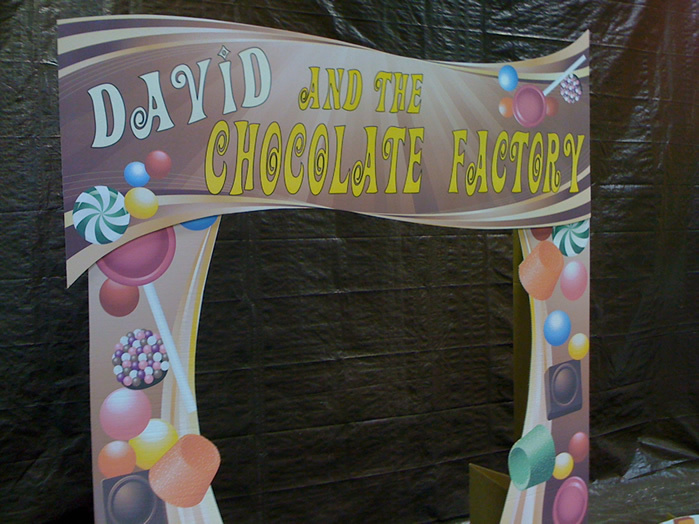 8' tall by 6' wide has a 6' x 3' entrance. For kids to walk through. Upgrade to double thick cardboard for extra strength. Manufactured in 5 business days. Expidite service available.